Daniel Parent received his PhD in economics from the University of Montreal in 1995. He is Associate Professor and William Dawson Scholar in the Department of Economics at McGill University. He is also a Fellow at the Inter-university Center on Risk, Economic Policies and Employment (CIRPEE) and a Research Fellow at the Centre interuniversitaire en analyse des organisations (CIRANO). In addition he also serves as a member of Statistics Canada’s Advisory Committee on Labour and Income Statistics, and is a member of the editorial board of the Canadian Journal of Economics. He was a Visiting Fellow at Princeton University in 1995 as well as Visiting Faculty at the University of California at Berkeley in 2004-2005. His research interests are in labour economics, the economics of education, and immigration. His recent research has focused on the short and long-term impacts of working while enrolled in high school, U.S.-Canada comparisons of the determinants of worker training , the long-term impact of ethnically concentrated immigration on the descendants of immigrants, as well as the impact of performance pay on expanding U.S. earnings inequalities. He has published in leading economics journals, as well as in books and conference proceedings. 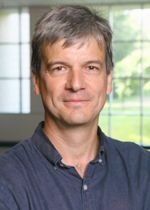 His Ph.D. dissertation received a prize from the Société canadienne de sciences économiques in 1996 for the best paper published out of a recently awarded dissertation. Daniel Parent joined CReAM as an external fellow in April 2006.